Christmas Day is just four weeks away; the lights are already twinkling in high streets across the country, and if you haven’t decorated your home and business for the festive season already, you’ll have to do so soon or risk looking like Mr Scrooge! 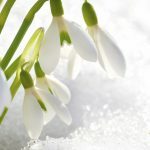 Although Christmas is celebrated in the depths of winter, when many flowers and plants have died away from the cold, plants and greenery play an important part in many festive traditions. Both holly and ivy have been traditionally used in Christmas decorations for centuries. Holly is the more well-known today, as it graces Christmas images and cards everywhere, but both are often found in decorative wreaths to hang on walls and doors. It’s thought that pagans would bring in holly boughs and ivy to decorate their homes for midwinter festivities as symbols of the life which would gradually return in the spring. To Christians, the holly became a symbol of Jesus, as referenced in the popular carol “The Holly and the Ivy”, above. Regardless of the symbolism, when almost everything is bleak and grey outside, it’s nice to have some greenery indoors! The tree has become an essential part of Christmas decorations – and many of you will already have made plans to put one in your reception area or office. However, the tradition is not as old as you might have assumed – the Christmas tree wasn’t common in British homes until it was popularised by Queen Victoria. Before that, they were popular only with the nobility, who had acquired the custom from Germany. Kissing under the mistletoe is another festive tradition which may not be as old as you think! Some associate it with the Norse myth of the death of Baldr, but like the Christmas tree, the tradition of kissing beneath the mistletoe was only popularised during Victorian times. If you do wish to bring mistletoe into your home or business, be careful with it, as it is poisonous if eaten so should be kept well away from animals and small children. 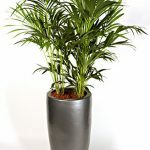 Whether you’re decorating your office for the festive season, or merely looking for a few colourful plants and flowers to brighten your work space, at Jungleworld we specialise in flowers for business so give us a call on 0208 968 8190 and see what we can do for you. You can also keep up with us on Google+.